But seriously, you make a drawing, you put the .png 112 alongside the .jpg 410 and you did not saw anything out of order? They both look the same to you, nothing was weird, blurry, not looking good? There was absolutely no difference to you? On page 3 is now the final version of the "navalized" versions of those airplanes regarded important, so far. 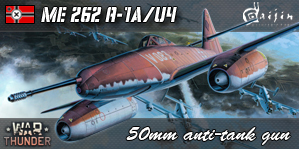 There are obviously more versions (the Stuka hyas obvioulsy also the "traditional" bomber variant as well as the Do 217 has also the traditional bomber variant, as well as a heavy "Zerstörer" variant with four 30mm MK, but for now the table is to be regarded as definitive. Maybe the other posts regarding the first critics could be deleted by their respective posters, that would be much appreciated as were the lessons some of you were so king to give to me regarding the drawings. Erased due to the rewriting of the AU underlying the new Kriegsmarine. Last edited by Cargil48 on January 22nd, 2019, 10:04 pm, edited 1 time in total. I am really liking this! I can't wait to see other big ships! Last edited by Cargil48 on February 26th, 2019, 10:20 pm, edited 1 time in total. Last edited by Cargil48 on February 22nd, 2019, 8:48 pm, edited 2 times in total. it simple to lengthen a modern ships with there diesel engines, that are placed aft. But a old ship with there steam engines and billions of pipes are close to impossible and stupid expensive to do, it's cheaper to build new then lengthen the ship. Remember 1/3 to 2/3 of these old ships hull are used by engine and boilers and all those pipes. lengthening a pipe can affect the performance of the entire powerplant, these steam engine is designed to work perfect as they are, changing something, means redesigning the engine.